What are Food Compaction Injuries? 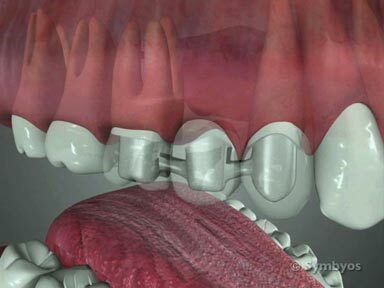 Figure 1: An open contact between two adjacent teeth caused by an undersized filling. The space between the two black arrows was created by a failure to close the contact when one (or both) of the involved teeth was restored. Chronic food compaction into the site produced inflammation and tenderness, and ultimately led to erosion of the bone (white arrow). Injuries to the gums and underlying bone may occur from long-term food compaction between two teeth. At a minimum, these can be very tender, and decidedly inconvenient as the patient is continually having to remove food. Left untreated, permanent damage to the periodontal structures (gums and bone) may result. Food compaction injuries are often caused by broken fillings or tooth decay that involves the contact area between two adjacent teeth. 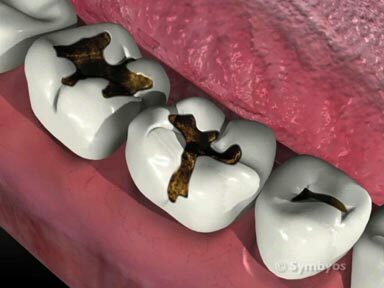 They may also be caused by tooth restorations (fillings, crowns, etc.) which do not close the space between two teeth, and leave the contact open to food collection (Figure 1). If a patient has periodontal disease, and has deep pockets where the teeth emerge through the gums, food compaction injuries can also occur. How does the dentist diagnose Food Compaction Injuries? Patients usually report tenderness, bleeding, and the need to continually clean food out of the area. Evaluation of the site generally shows a deep periodontal pocket (greater than 4 millimeters, and sometimes much greater), profuse bleeding on light probing, and poor gingival health. If the injury is between the teeth, an abnormal gap is commonly observed between the teeth. How are Food Compaction Injuries treated? In order to fully evaluating the condition, your dentist will need to take an X-ray image (radiograph). 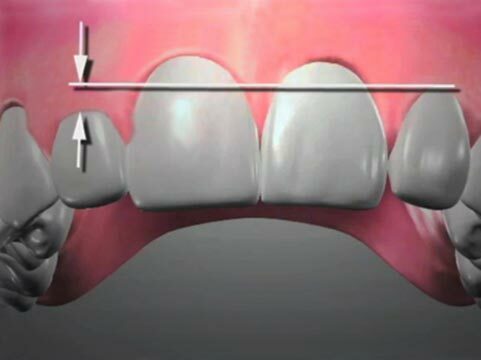 If the injury occurs because of a space between two teeth, the space should be closed. This may involve placement of a filling, inlay, onlay, or crown. Spaces can also be closed with orthodontics in some cases. If periodontal damage has occurred, it may be necessary to treat the site with localized scaling and root planing, possible local antibiotic administration, and possible guided tissue regeneration.